Carter's physique is deceiving. At first glance, you notice his 5-foot-5 stature, but after a second take, you only see his muscular frame. 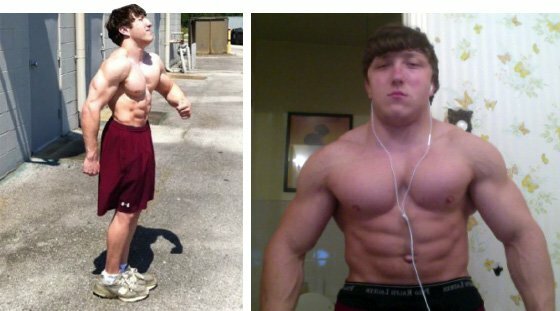 He's mini-Flex Lewis in the flesh! I have always been smaller than my friends and was constantly picked on because of it. One day in high school, I decided to do something about it. I figured if I couldn&apos;t be tall, I should be big. Starting that day, I trained hard and focused on building a better physique and bodybuilding slowly became my passion. 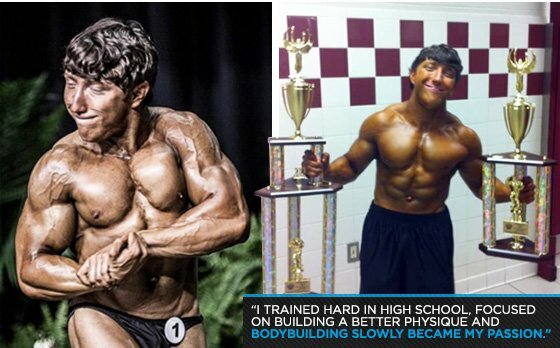 I started taking bodybuilding more serious during my freshman year in college. I took dieting and training to another level and haven&apos;t looked back. I competed in my first show and loved it. Now I plan to continue training and eating to the best of my abilities so I can take my physique up a notch. My passion for fitness emerged when I realized I have the power to control my physique. It&apos;s all about seeing the results work for others and believing you can do it too. You can&apos;t commit halfway and expect great results; it takes full devotion and commitment. The pure joy and happiness I get from being in shape drives me. It puts life in a different perspective and makes every day more joyful, especially when you share a common goal with someone and help them reach their potential too. It&apos;s a feeling that no one can really explain or take from you. When I had days where I was dragging, I looked to my close peers or others who set the bar very high. Seeing what others do makes me strive to be better than them. I work extra hard to achieve greatness. My future fitness plans are to achieve everything I can in bodybuilding and win as many contests as possible. I want to use my talent to help others by getting a degree in exercise science or by becoming a personal trainer. I want to leave an impact on bodybuilding for others to follow. Keep an open mind and never stop asking questions. It&apos;s easy to think you know it all, but nobody knows everything. Learn as much as possible from others. It&apos;s important to create your own identity. There&apos;s nothing wrong with taking advice and picking up tips from those who have been there before. My favorite competitor is Flex Lewis. Flex is a great inspiration to short guys in bodybuilding like me and has done a lot for the sport. He recently began hosting his own competition in my home state of Tennessee. I appreciate the hard work he puts into training and how he carries himself with class. I have lots of respect for him. 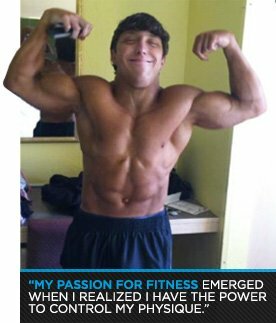 Bodybuilding.com helps me daily to reach my goals by providing forums for training and dieting advice. I appreciate the positive and critical feedback from others on the site.